Our mission is to provide programs, activities, and opportunities that inspire and empower our youth to make positive societal contributions. We intend to promote a renewed environment for our children that motivate and empower them to accomplish and to achieve. 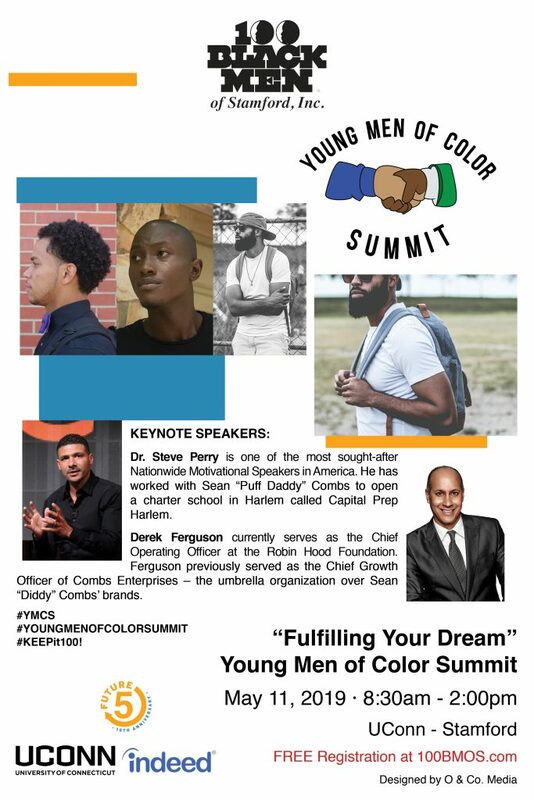 The 100 Black Men of Stamford, Inc. is an organization whose members are dedicated and committed to the intellectual development of the youth we serve, and the pursuit of economic empowerment of minority communities. Our actions are grounded in the precepts of respect for family, spirituality, justice, loyalty, honesty, and integrity as key ingredients for achieving success.